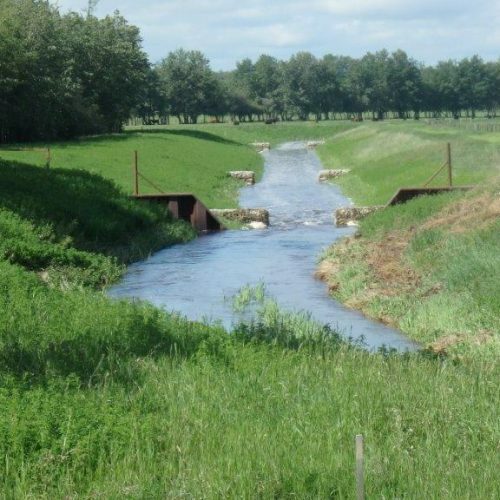 Hydrological and Hydraulic Assessments: rainfall runoff assessments, flow and water level control and regulations, open and closed channel flows analysis, culvert and bridge crossings hydraulic design, watershed master planning. 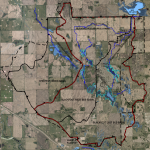 Flood and Drought: floodplain delineations, flood risk mapping, flood studies, flood mitigation plan, flood control infrastructure, flow and flood frequency analysis for waterbodies and watercourses, ice jam flood risk, flood damage estimation, drought analysis, low water analysis. 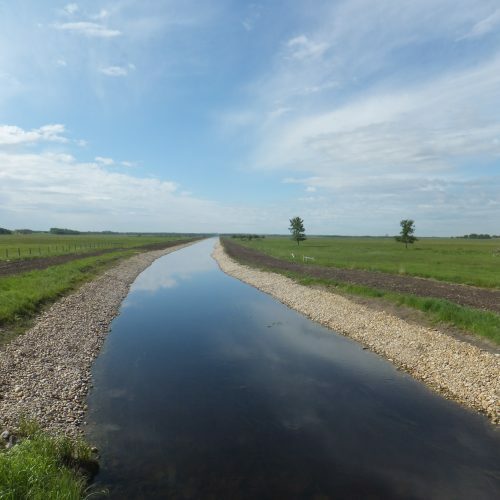 Erosion and Sedimentation: design of erosion control features and erosion protection/mitigation works, bank migration, scour analysis, and sediment transport. 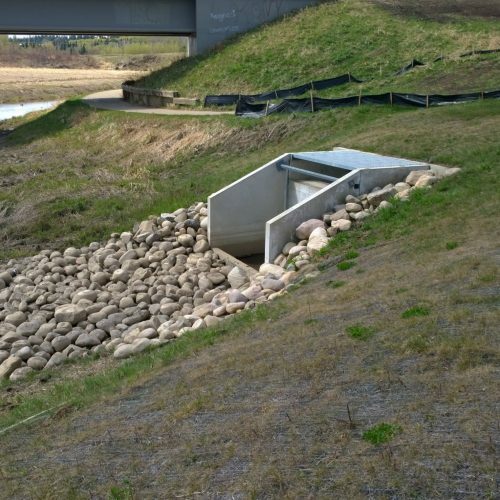 Water Structures: design and inspection of drainage infrastructures such as culverts, storm outfalls, water intakes, weirs, culverts, gabion drop structures, etc. Watercourse Crossing: watercourse/waterbody construction and cofferdam design, pipeline crossing design. Habitat and Environmental Design: design of wetlands, bioretention areas, bioswales, and fish habitats; watercourse restoration. Regulatory Approvals: preparation of necessary documentation required to obtain the regulatory approvals (e.g. Water Act, Public Lands Act, Fisheries Act, and Navigation Protection Act) and permits. Similar to municipal infrastructure engineering projects, Sameng can provide all phases of engineering for water resources engineering projects including planning, engineering design, and construction services.